Disruptive tech is advancing and changing the spaces in which people live and work at an unprecedented rate. Consumer preferences are driving an increasing demand for connectivity and improved productivity, and emerging tech is obliging, lending efficiency to human lives through inventive devices that perform multiple functions. 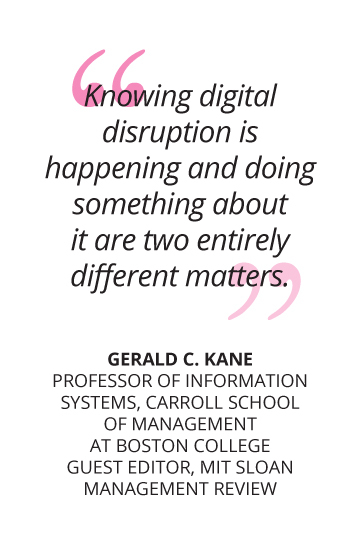 One facet of all this change is accepting the digital impetus disruptive tech brings. This impacts on how digital ecosystems operate, and how workplace professionals cope. If companies refuse to accept these changes they risk becoming irrelevant. In this dynamic era where global networks are connected by rich streams of data, disruptive tech is the physical presence of market evolution. Disruptive tech changes all the rules and creates a unique environment for markets and professionals. 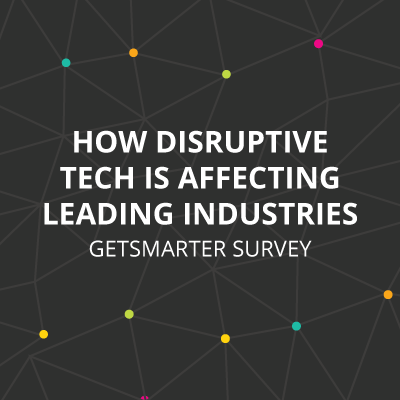 The aim of a recent survey sent out by GetSmarter, was to address the opportunities and threats of disruptive tech in some of the most affected industries and understand the practical impact of its application. 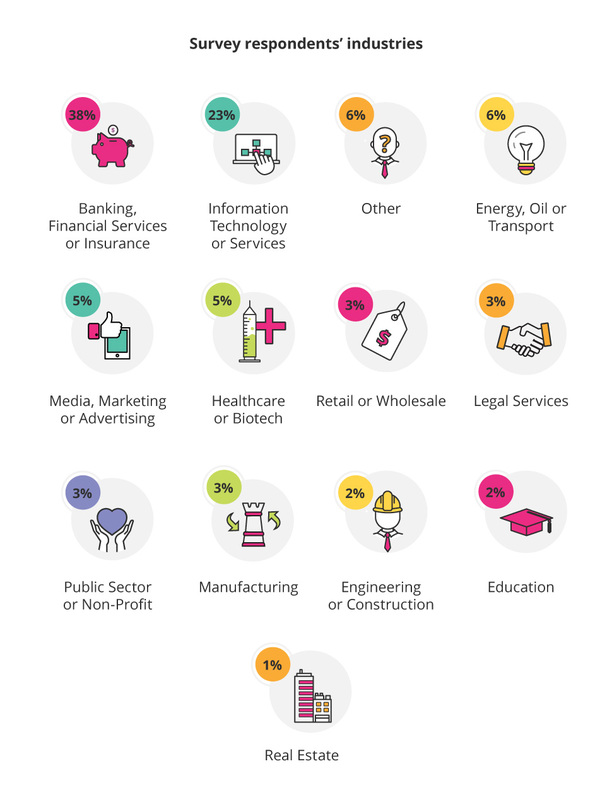 * For reference, all statistics and information used are from a survey conducted by GetSmarter on disruptive tech. 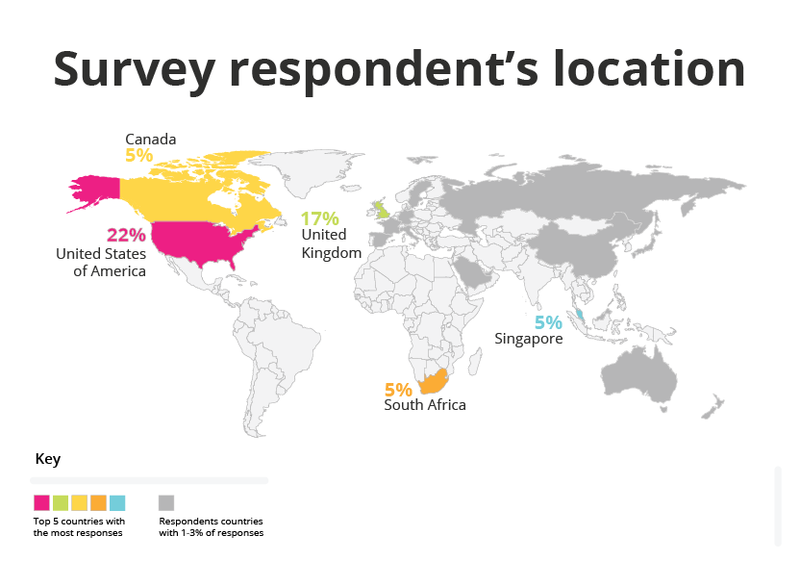 Our survey was tailored to working professionals who participated in programmes from the University of Oxford, The Massachusetts Institute of Technology, and online courses at HarvardX. 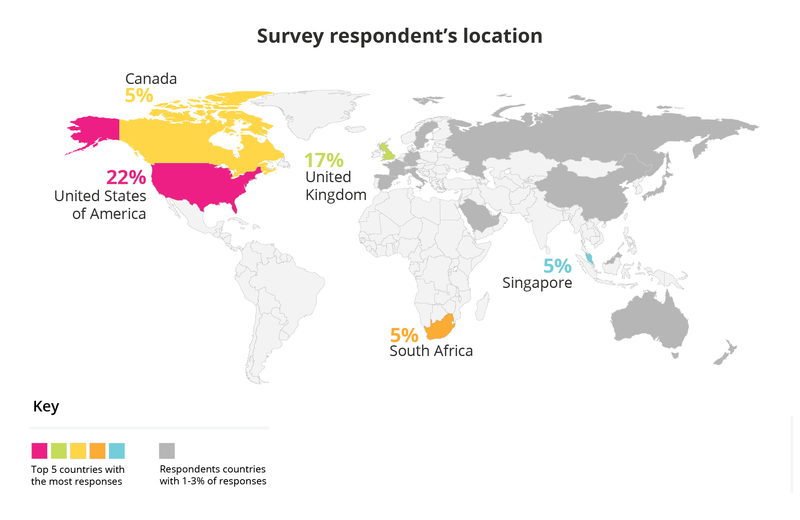 It included 550 respondents from over 67 countries around the globe. This is valuable as the broad responses provide a realistic perspective of what is relevant in modern workspaces across the world right now. 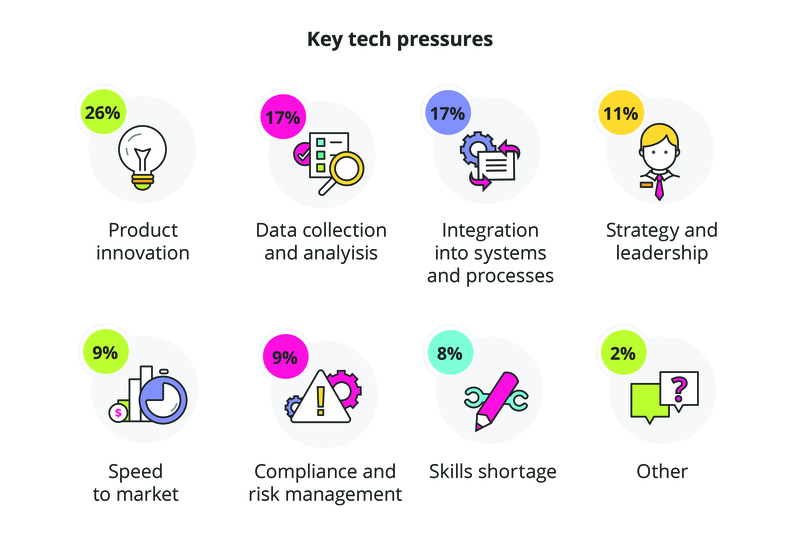 Disruptive technology strikes at the heart of data science and is vitally important to the success of your business – 89% of our surveyed working professionals believe this. Just as life is dynamic, so too is the working environment. Having one main skill set for your entire career is becoming a rarity. The ability to be versatile is critical, and a way of strengthening this skill is by learning.3 One key point from this survey is that 92% of our survey respondents consider lifelong learning to be an essential skill. An overwhelming 98% of our survey respondents believe it’s crucial to their careers that new skills be learned at least every 18 months. Formal qualifications simply aren’t enough, as this rapid change in learning patterns means working professionals also need to learn practical skills while working. Self-directed learning is a relatively modern approach that is now possible thanks to networking, online professional forums, and online campuses of educational institutions. Working professionals are interested in learning from thought leaders in various industries in the comfort of their own homes and in line with their schedules. Future-proofing is the process of anticipating future needs and implementing strategies to mitigate potential negative effects of future events. Equal reliance on formal learning methods like online courses, as well as self-directed learning activities that make use of trusted online sources, reading widely and personal research. Industry reports, business case studies and conferences are popular for gathering invaluable insight. Personal development and innovative business opportunities are more likely in environments where cross-disciplinary interaction is common. This equates to staying alert for unique perspectives by talking to people more knowledgeable in key fields and who represent unconsidered stakeholder interests. Experimenting with solutions and commercial applications from other contexts is a good starting point. Diversifying professional experience, investments and skills in order to remain resilient to shocks is important for business innovation as much as career evolution. Business strategies like product diversification, internal initiatives that drive innovation, investment in disruptive startups, and hard skills training — all key examples of formalised projects of development that can have mutually beneficial outcomes for corporations and careers alike. A winning mindset is adaptable in the face of surprises, open to changing direction when necessary and remains optimistic about potential outcomes. A commitment to understanding customer needs, changing market forces and emerging tech capabilities is crucial — while at the same time, inspiring teams to think the same way. The digital platform of learning has revolutionised these paradigms by utilising the opportunity to “turn teaching moments into learning outcomes”.4 When learning about disruptive tech, the majority of participants (87%) are hoping to apply this technology strategically in their businesses. Education matters, and workspaces that embrace this philosophy will become more adaptive to disruptive tech fluctuations. Learning ability is the link between mitigating the effects of disruptive tech and increasing tech innovation in the workplace. How are you handling disruptive tech in your career?